Dr Fernanda Cardoso completed her MSc in Molecular Pharmacology (2002) and PhD in Immunology (2008) at the Federal University of Minas Gerais, Brazil. In 2008 Dr Cardoso joined the Queensland Institute for Medical Research in Brisbane holding a prestigious CAPES Postdoctoral Fellowship. During this period, she developed unique HTS platforms to identify key membrane surface proteins and peptides to develop novel therapies to combat infectious diseases. In 2011, Dr Cardoso joined the Institute for Molecular Bioscience at UQ to develop therapies to treat complex neurological diseases. Her background in drug discovery, design and development, and her interdisciplinary training in the fields of pharmacology, immunology, and neuroscience provide her with the skills needed to identify and characterise highly potent bioactive molecules and to study their effects in human physiology with applications in neurologic disorders such as chronic pain, IBS and neurodegenerative diseases. Dr Cardoso is currently part of the Centre for Pain Research and Prof Richard Lewis’ group. She manages a number of industry and academia projects studying ion channels modulators derived from bioactive natural molecules and the development of novel effective drugs. 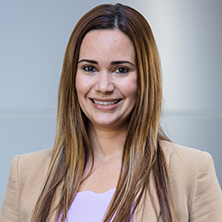 Dr Fernanda Cardoso's research has provided remarkable insights in the discovery biology of vaccines against tropical diseases, as well as in the identification of new agents for therapeutical use in complex disorders such as chronic pain and irritable bowel syndrome. Her discovery in vaccine research has the potential to improve the lifes of milllions of people in Africa, Asia and South America through a vaccine against schistosomiasis., and her research in ion channels modulators has provided unique leads for treating neuropthic pain disorders which could improve the lifes of at least 10% of the world population. Does nature do ion channel drug discovery better than us? Cardoso, F. C., Pinho, J. M. R., Azevedo, V. and Oliveira, S. C. (2006) Identification of a new Schistosoma mansoni membrane-bound protein through bioinformatic analysis. Genetics and Molecular Research, 5 4: 609-618. Can Phlo3a – a newly discovered spider knottin – meets the challenges to strategically modulate noxious Nav-channels? Dongol, Y., Cardoso, F.C. and Lewis, R.J. (2018). Can Phlo3a – a newly discovered spider knottin – meets the challenges to strategically modulate noxious Nav-channels?. In: Brisbane Pain Research: Multidisciplinary Perspectives & Therapeutics 2018, Brisbane, QLD, Australia, (). 7 December 2018. Hasan, M.D., Cardoso, F.C. and Lewis, R.J. (2018). Comparative analysis of transfection methods to establish high-throughput automated electrophysiology assays for key ion channels involved in pain. In: Brisbane Pain Research: Multidisciplinary Perspectives & Therapeutics 2018, Brisbane, QLD, Australia, (). 7 December 2018. Zhao, T., Cardoso, F.C. and Lewis, R.J. (2018). Disclosing the bioactive surface of the potent NaV channel inhibitor ProTx-III [μ-TRTX-Tp1a]. In: Brisbane Pain Research: Multidisciplinary Perspectives & Therapeutics 2018, Brisbane, QLD, Australia, (). 7 December 2018. Ferraz, C.R., Cardos, F.C., Clissa, P.B., Vetter, I., Verri Jr, W.A. and Lewis, R.J. (2018). Jararhagin, a metalloproteinase from Bothrops jararaca venom, induces mechanical and thermal hyperalgesia through TRPV1 channel activation. In: Brisbane Pain Research: Multidisciplinary Perspectives & Therapeutics 2018, Brisbane, QLD, Australia, (). 7 December 2018. Hassan, Mahadhi, Abraham, Nikita, Ragnarsson, Lotten K.N., Cardoso, Fernanda C. and Lewis, Richard J. (2017). Defining ω-conotoxin binding site and delineating the role of the α2δ1 subunit in ω-conotoxin binding. In: Venom to Drugs Conference 2017, Noosa Heads, QLD Australia, (). 9-14 October 2017. Discovery of novel CaV and NaV modulators in spider venoms and applications in the development of drugs to treat chronic pain. Cardoso, Fernanda C., King, Glenn F. and Lewis, Richard J. (2017). Discovery of novel CaV and NaV modulators in spider venoms and applications in the development of drugs to treat chronic pain.. In: 19th World Congress of the International Society on Toxinology, Haikou City, Hainan Province, China, (). 24-31 October 2017. Sairaman, Anjali, Caldas Cardoso, Fernanda, Lewis, Richard J., Kaliappana, Krishna P., Tuck, Kellie L. and Duggan, Peter J. (2016). The inhibition of neuronal calcium channels with aminobenzothiazole derivatives. In: RACI Medicinal Chemistry and Chemical Biology Conference 2016, Coogee Beach, NSW, Australia, (). 7-9 November 2016. Optimizing the potency and selectivity of a spider-venom peptide that inhibitis the analgesic target Nav1.7. Erickson, A., Cardoso, F. C., Lewis, R. J. and King, G. F. (2014). Optimizing the potency and selectivity of a spider-venom peptide that inhibitis the analgesic target Nav1.7.. In: Venom to Drugs Conference 2014, Kingscliffe, NSW, Australia, (). 19-23 October 2014. Prashanth, J. R., Dutertre, S., Jean, A., Lavergne, V., Hamilton, B., Cardoso, F. C., Griffin, J., Venter, D. J., Alewood, P. F. and Lewis, R. J. (2014). Unique evolution of D-conotoxins for defence. In: Venom to Drugs Conference 2014, Kingscliffe, NSW, Australia, (). 19-23 August 2014. Prashanth, J. R., Dutertre, S., Lavergne, V., Hamilton, B., Cardoso, F. C., Venter, D. J., Alewood, P. F. and Lewis, R. J. (2013). The injected venom of vermivorous cone snails. In: 10th Australian Peptides Conference, Penang, Malaysia, (). 8-13 September 2013. Cardoso, F. C., Trieu, A., Groves, P. and Doolan, D. L. (2010). Proteome-wide screening of antigens targeted by cell mediated immune responses. In: 14th International Congress of Immunology, Kobe Japan, (). 22-27 August 2010. Cardoso, F. C., Groves, P., Roddick, J. and Doolan, D. L. (2010). Proteome-wide screening of complex pathogens to identify antigens targeted by T-cell mediated immune responses. In: XII International Conference for Parasitology, Melbourme, Australia, (). 15-20 August 2010. Cardoso, F. C., Pearson, M., Giacomoantonio, P., Tribolet, L., Pickering, D., Shoemaker, C., Oliveira, S. C. and Loukas, A. (2008). Vaccines against Schistosomiasis: production of single and chimeric tegument antigens for pre-clinical and clinical studies. In: 11th Symposium of Schistosomiasis. 11th Symposium of Schistosomiasis, Salvador, BA, Brazil, (). 20-22 August 2008. Cardoso, F. C., Gava, E., Macedo, G. C., Kitten, G. T., Mello, A. L., Caliari, M. V. and Oliveira, S. C. (2007). Vaccine against schistosomiasis: The role of a new tegument protein Sm29 on human and murine protective immune responses. In: 13th International Congress of Immunology. 13th International Congress of Immunology, Rio de Janeiro, Brazil, (). 21-25 August 2007. Cardoso, F. C., Pacifico, R. N. A. and Oliveira, S. C. (2005). Human IgG3 recognition of Schistosoma mansoni 29 kDa membrane bound protien identified by a bioinformatic approach. In: XLI Congress of Brazilian Society of Tropical Medicine, Florianopolis, Brazil, (). 6-10 March 2005. Cardoso, F. C. and Oliveira, S. C. (2007). Membrane protein Sm29 of S. mansoni and uses thereof as vaccine and for diagnosing of schistosomiasis. WO 2007118292 A2. Focus in spider, snakes and cone snails venoms.